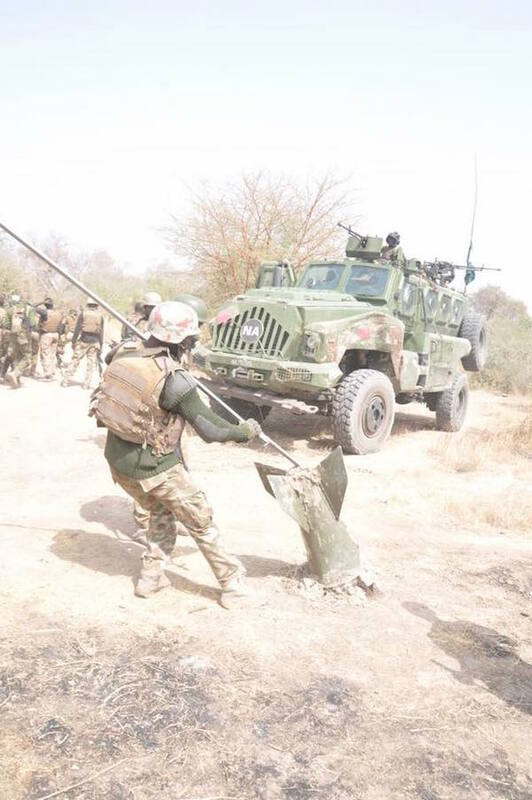 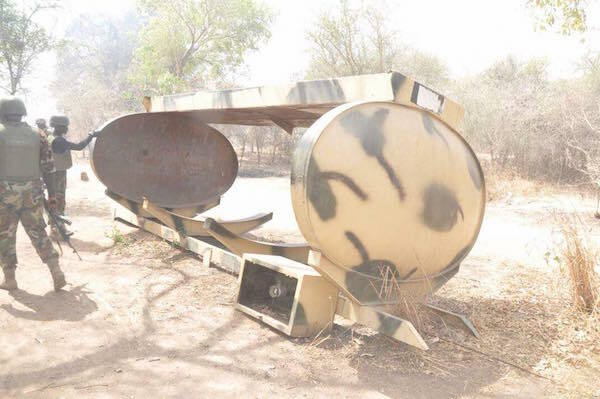 Troops of Operation LAFIYA DOLE have been making tremendous progress in the on going clearance operations nicknamed Operation DEEP PUNCH II. 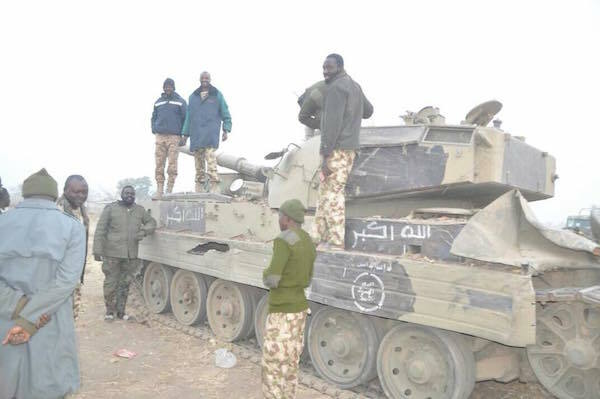 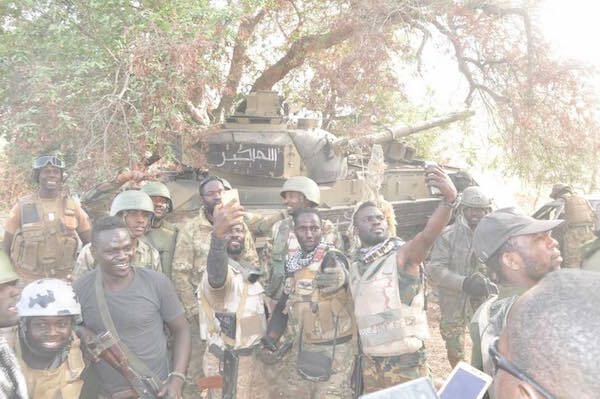 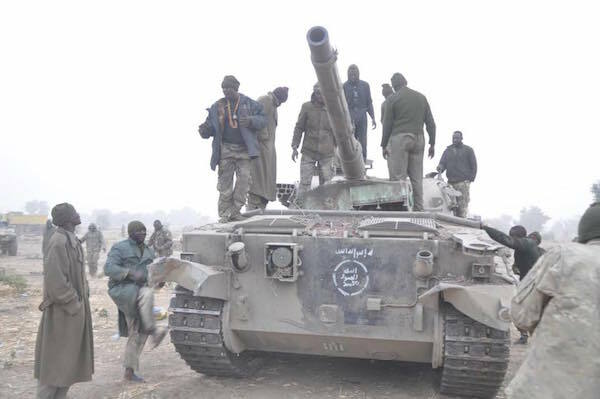 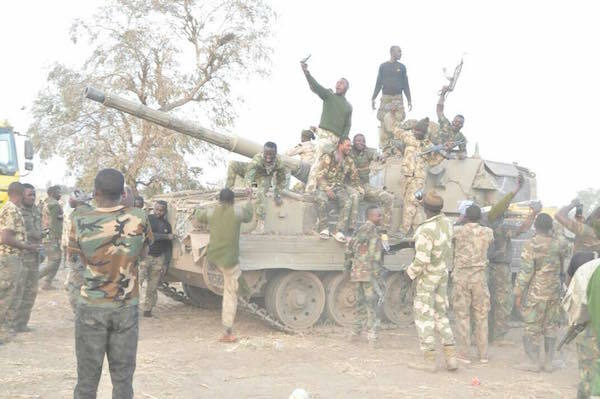 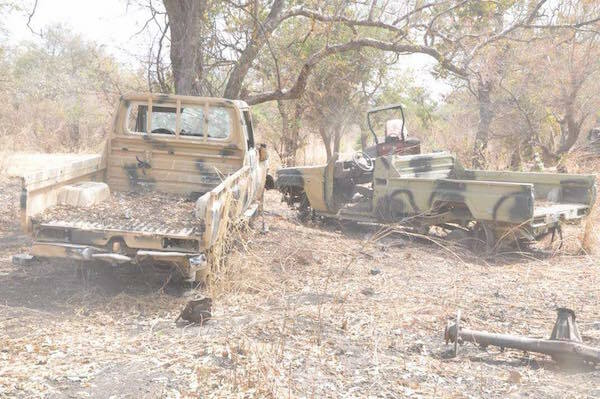 Yesterday, Tuesday 30th January 2018, the advancing troops had contact with Boko Haram terrorists and engagement ensued. 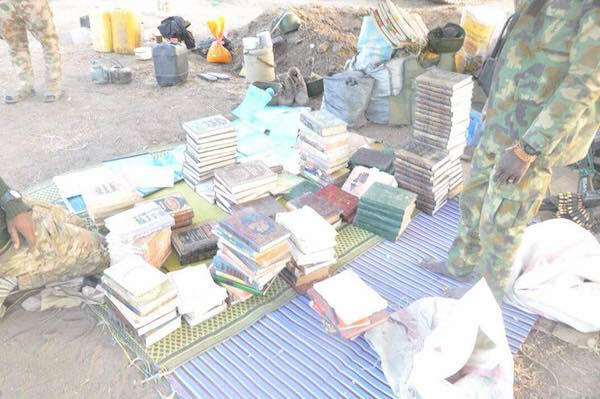 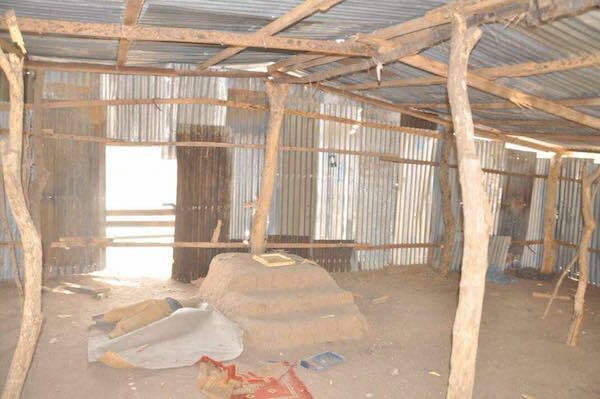 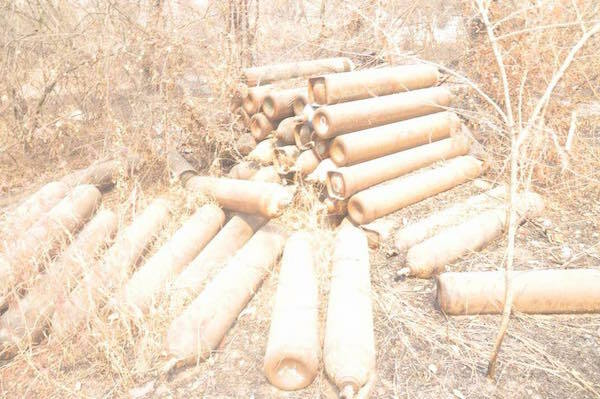 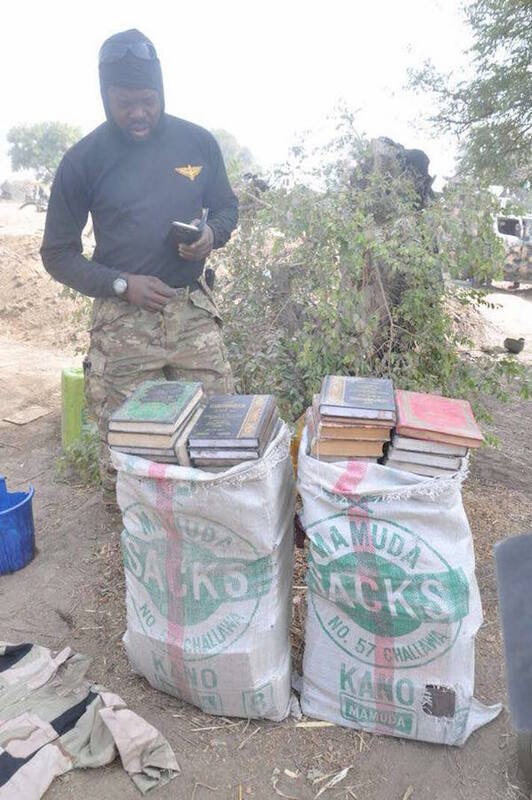 During the encounter, they were able to recover an Eagle Main Battle Tank (EMBT), 1 VBL, 1 AK-47 Rifle, a Police Teargas Rifle, religious books, many gas cylinder and bags of fertilizer, ostensibly for Improvised Explosives Devices making. 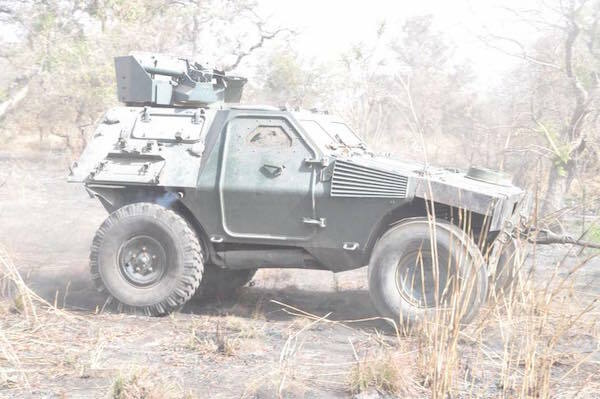 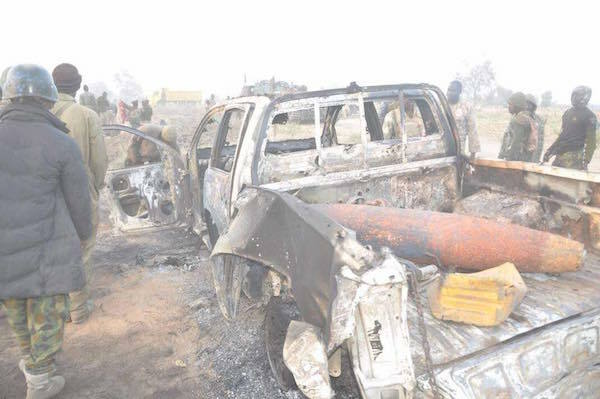 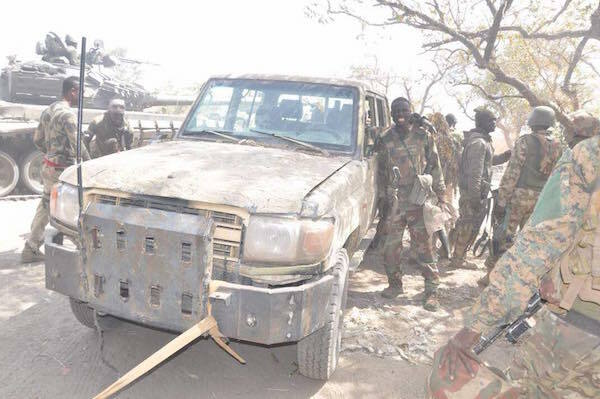 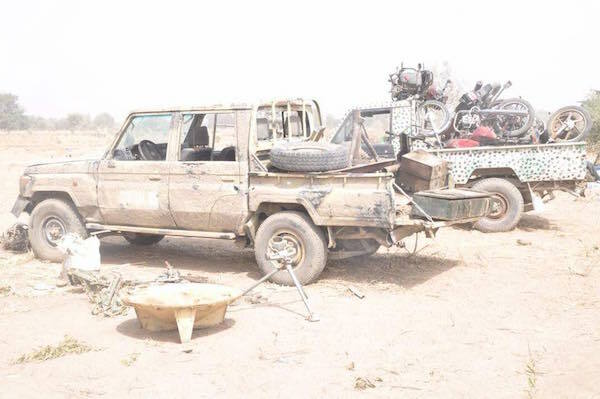 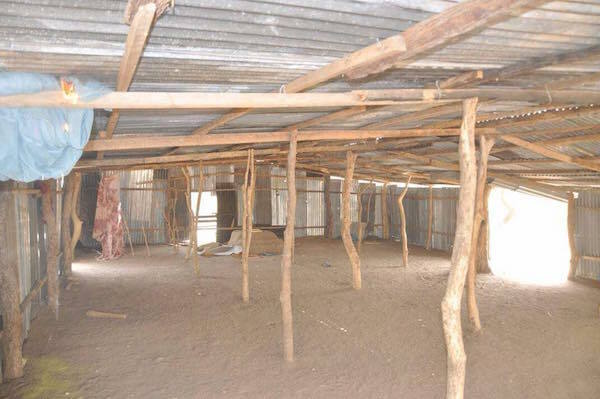 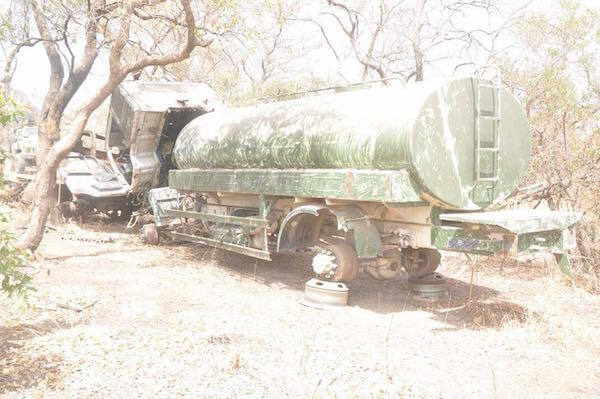 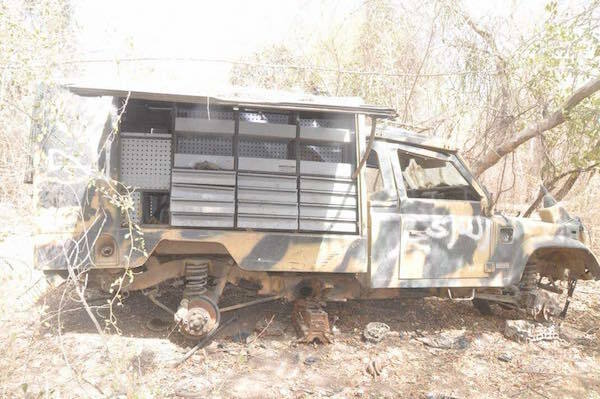 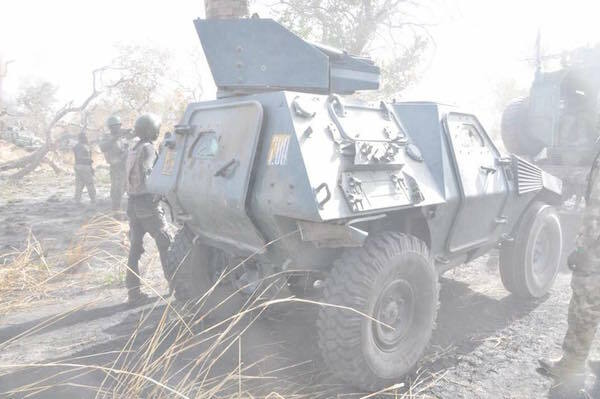 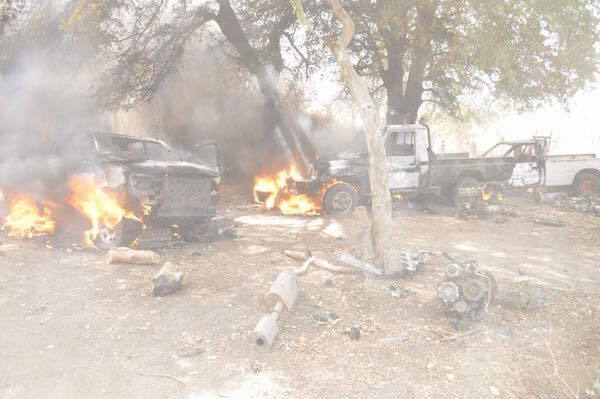 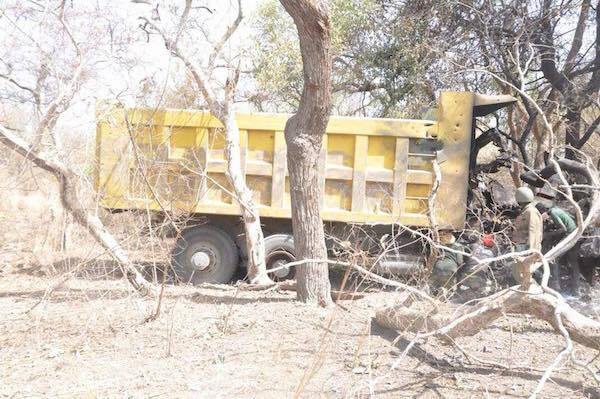 Other items destroyed by the gallant troops include 7 Gun trucks, 4 Trucks, 5 Hilux, 1 Prado Jeep, 1 Golf car, 4 Mitsubishi pick up, 1 Hiace bus, several Motorcycles, makeshift shelters, tentages and household items.